The last pen we built, using a couple of cylinders printed with the Dremel 3D printer, was treated with red gilt. I did not sand the pen because in previous attempts, the plastic overheated and softened. This time I decided to wet sand the plastic cylinders using a range of micromesh pads. This produced a very smooth surface. 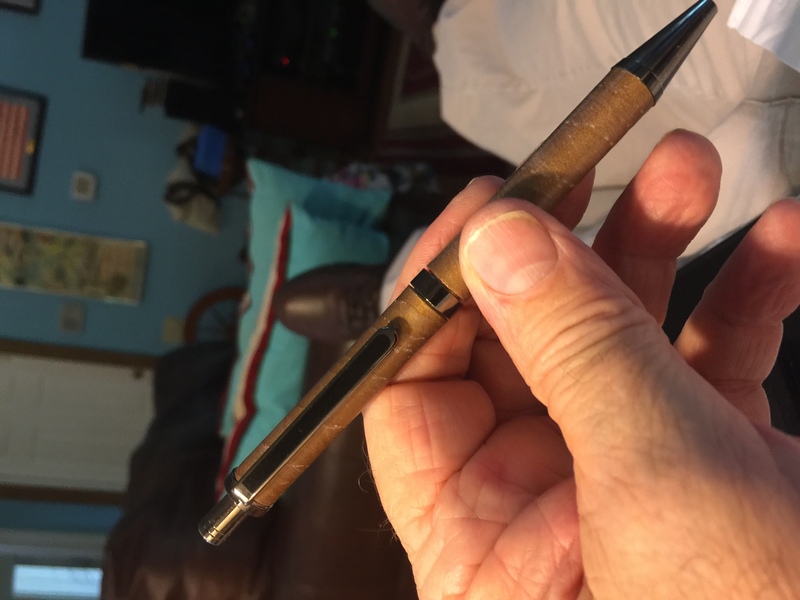 My grandson wanted a pen with a gold color so I used an antique gold gilt. He seems to be happy with the appearance even though the gold is not shiny gold, but antique gold. I applied several coats of thin CA glue, to add extra protection for the gold finish. 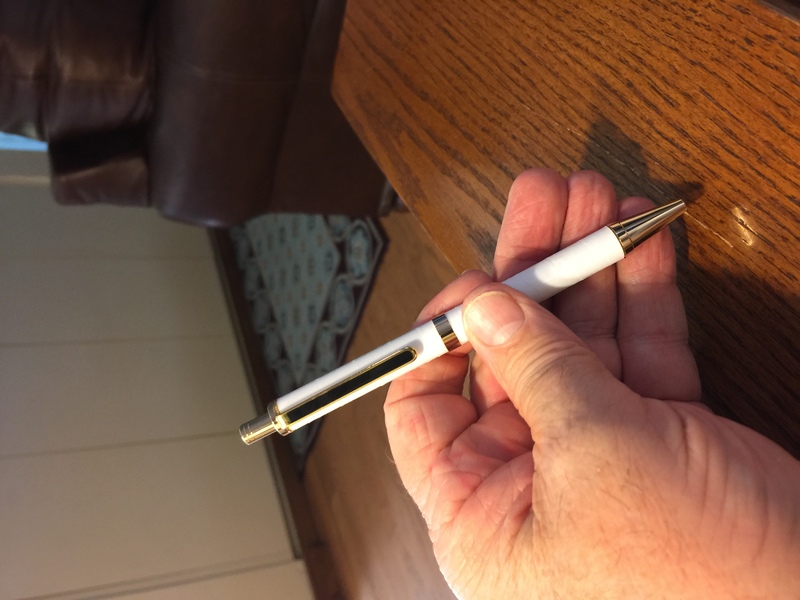 I did make another pen for his mother leaving the white surface with no added color. So, I am happy with the surface produced with wet sanding. The next attempt I would like to make, is to use the 3D software to design more interesting surfaces. This may have to wait, while I work on another fire ant pen.